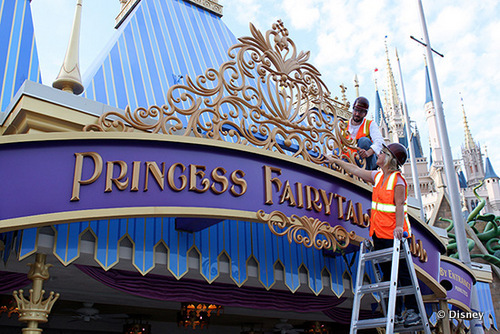 The Princess Fairytale Hall in New Fantasyland is scheduled to open soon in the former site of The Scary Adventures of Snow White ride. The location features a castle-like entrance with stone walls and stained glass windows the open into a large gallery. When it's time to meet the princesses, guests will enter an elegantly finished chamber where the princesses will be waiting to meet their loyal subjects. 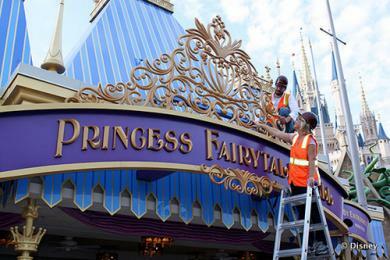 Guests will have a chance to meet either Cinderella or Rapunzel and each of them will also be joined by another Disney princess.